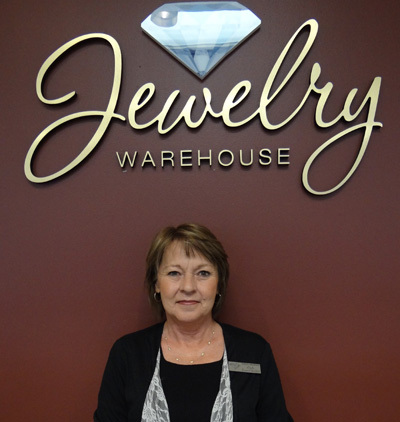 Today’s Employee Jewelry Pick is from Linda at our West Columbia store. Her pick for the week is colored diamonds. What a lovely choice! Why did you pick colored diamonds as your favorite? – I love them because they are fashionable and very stylish! 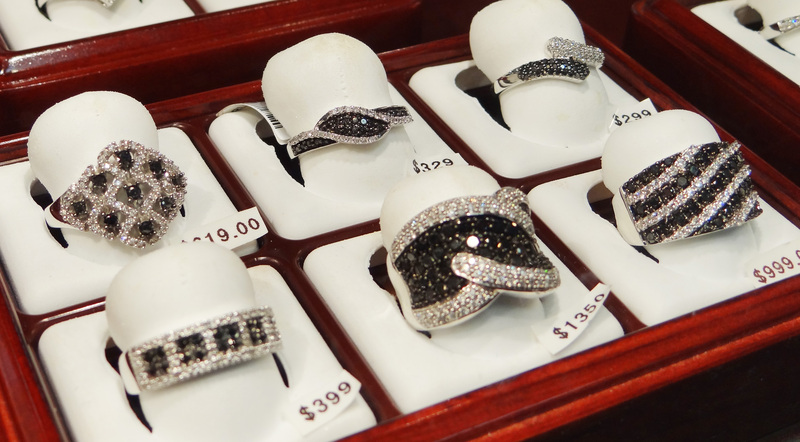 Black, Brown and Blue diamonds are really in style right now, and trendy. A lot of people are using them as an alternate wedding ring as well. What diamond colors does Jewelry Warehouse have available? – We have Black, Blue, Brown, and Yellow. Is there any special care for colored diamonds as compared to regular diamonds? – You can clean your colored diamonds in an ultra sonic cleaner, as long as it’s not heated. Anything else you’d like to let people know about colored diamonds? – Try to avoid getting your colored diamonds near high heat. Some colored diamonds are heated to preserve their color shouldn’t be repaired at high temperatures, or it can cause your diamond to change color. Another Tip about colored diamonds (from ehow) – Naturally occurring fancy colored diamonds are extremely rare, and therefore always at a premium. As a result, you should always work with an independent jeweler whose opinion you trust when you are considering purchasing this type of stone, as there are many clever fakes available in the retail market. Even worse, if you purchase this type of stone without a warning, a simple action could ruin your treasured piece of jewelry permanently. 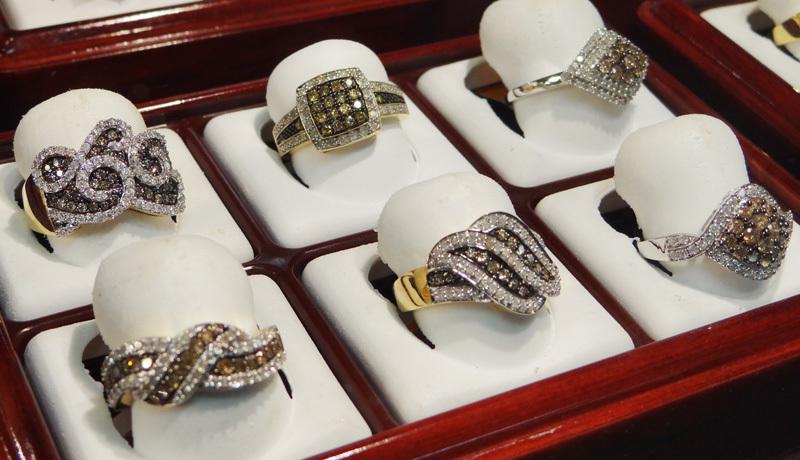 Check out our large selection of colored diamonds online, or in person, at any of our 4 Jewelry Warehouse locations! This entry was posted in Diamonds, Employee Picks and tagged black diamonds, blue diamonds, brown diamonds, colored diamonds, diamonds of color, employee pick of the week, jewelry warehouse, yellow diamonds. Bookmark the permalink.